Nonalcoholic Fatty Liver Disease (NAFLD) occurs when there is an abnormal buildup of fat in the liver. It's typically found in people who are overweight and clinically obese. In developed countries this is the most predominant chronic disease of the liver. Scientific studies suggest that an alteration in gut microbiota plays a significant role in the development from simple NAFLD to steatohepatitis. Epidemiological studies carried out thus far demonstrate that the consumption of fish oil (FO) or perilla oil that is rich in n-3 polyunsaturated fatty acids (PUFAs), goes some way to protects against nonalcoholic fatty liver disease. Nevertheless, the principal mechanisms are not yet understood. The aim of this study was to examine the impacts of FO and perilla oil on gut microbiomes modification in lab rats. These were rats which were fed a high-fat diet-induced NAFLD. Both the FO and PO ameliorated HFD-induced hepatic fatty liver (steatosis) and inflammation. Furthermore, the fish oil and the perilla oil consumption nullified the raised abundance of Prevotella and Escherichia bacterium inside the gut from HFD-fed rats. Compared with FO, perilla oil has a similar albeit somewhat weaker influence against HFD-induced non-alcoholic fatty liver disease and gut-dysbiosis. Perilla Oil Has Similar Protective Effects of Fish Oil on High-Fat Diet-Induced Nonalcoholic Fatty Liver Disease and Gut Dysbiosis. Omega-3 Fatty Acids Omega-3 fatty acids are vital to health and are essential in your diet. This article looks at the health benefits, deficiency etc. 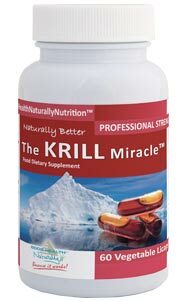 Effects of Krill Oil on Mitochondrial Energetic Metabolism Krill oil counters the negative effects of a high fat diet on mitochondrial energetic metabolism according to research on lab rats. Health Benefits of Fish Oil Packed with omega-3, fish oil is a supplement that offers you many health benefits. This article looks at the those benefits to your health.